Autumn can be one of the most beautiful times of the year. The leaves on the trees turn lustrous hues of bright and fiery tones, and the weather begins to turn crisp and fresh. Shortly after the beautiful turning of the leaves, it is time for a good fall season cleanup from professional landscapers and lawn maintenance specialists at More Clean of Texas. While leaves make a great organic mulch, they just don’t belong on commercial properties, and neither do dead tree branches or dying shrubbery. Because of this, you will want the fall cleanup to include removing debris, tree trimming, brush cutting, mulching, and anything else needed to clean up and shape up your commercial property for the fresh autumn season. Additionally, keeping your parking lot clean of debris will not only make it more attractive and safer for the cars and pedestrians using it, it will extend the life of your pavement. Our conscientious team can remove leaves from property throughout the autumn months as well as the sand that may accumulate during the winter season with state-of-the-art equipment and technology. Doing this will ensure that your customers notice that you care about your service you provide year-round. It will also help you gain new customers by helping you stand out from the crowd. More Clean of Texas can help you put a fall season cleanup into action right now. Whether it’s lawn care and updating fresh garden color, or cleaning of debris in your parking lot areas — we are here to serve you and your needs. Get in touch today to get more information for exactly what More Clean of Texas can do to help you stand out from your competitors. Simply give us a call at (844) 655-1987. 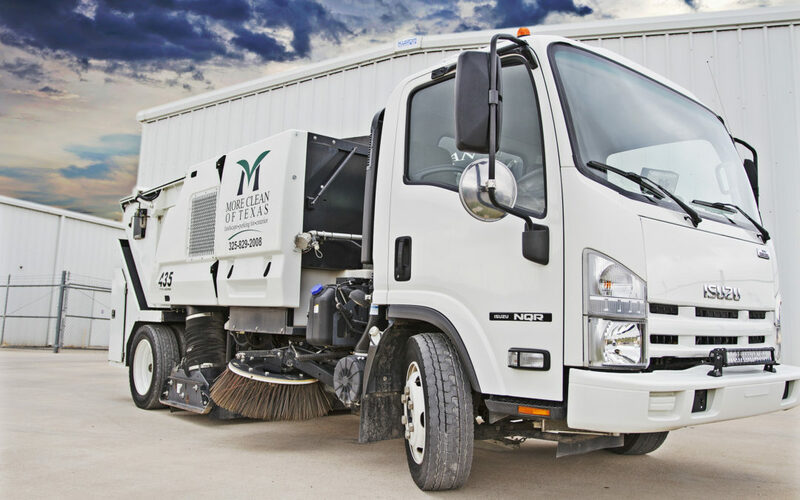 Don’t miss our next blog in November featuring Winter Maintenance Preparation for Commercial Property from your friends at More Clean of Texas! Copyright ©2017 More Clean of Texas, Inc. All Rights Reserved.